The other night John ordered a pizza and it looked and smelled sooooo good! I really really wanted a piece because I adore pizza, but I’m still on my low carb diet. I’ve lost more weight so I’m motivated to continue on and not cheat. However, I really want a piece of pizza! 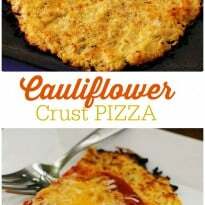 I ended up surfing Pinterest and found a recipe for pizza with a cauliflower crust and it included all low carb ingredients I could eat. I knew I had to try it out. I bought the ingredients and made it today for lunch. Ohhh it was delicious! I’m definitely making this one again. You might also like this Low Carb Chicken Divan. 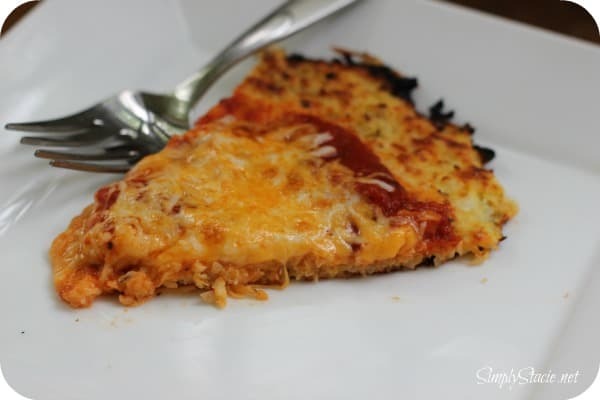 Enjoy pizza without the guilt of carbs! Remove the leaves and stem from the cauliflower and grate the head with a cheese grater. Place the grated cauliflower into a microwave safe bowl and microwave for 8 minutes. Preheat oven to 450 degrees. Grease a cookie sheet with butter or cooking spray. Mix together the grated cauliflower, egg and cheese. Add Italian Seasoning, garlic and garlic salt and stir. Transfer to the cookie sheet, and using your hands, pat out into a 9″ round. Brush olive oil over top of crust. Remove from oven. Add your pizza sauce, toppings and cheese. Place under a broiler at high heat just until cheese is melted (approximately 3-4 minutes). Make sure all the toppings are pre-cooked though. I so want to try to make one of these! Who knew cauliflower could look SO delicious? Thanks for sharing this recipe! I saw something similar to this on the Dr. OZ show from a guest who lost a bunch of weight and I wondered how it was! It looks very yummy! Hmmm… VERY interesting!! Definitely going to try this! Wow, that is totally awesome, and it looks amazing! I want to try this! This looks great! Never would have thought of using cauliflower! This sounds amazing! want to try it asap. Don’t have a microwave anymore, so wondering about options. Steam the cauliflower lightly , cool and blot w towel, then process in food processer? I would do it in the food processor first then steam it in that order. This looks so tasty! I’m definitely going to have to try one at some point! Thanks for sharing. This sounds so good! I’m always looking for a way to reduce carbs because I’m diabetic. I’ve gotta try this recipe!! Thanks! 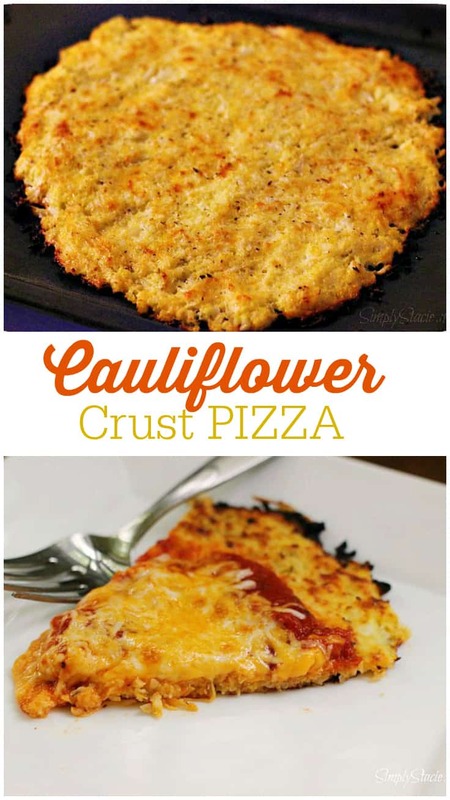 I’m pre-diabetic but cauliflower on a pizza just sounds weird, but ya know? I’ll try anything once! Thanks for sharing the recipe it was delicious!!! Interesting. Never heard of making a crust from cauliflower before. I have never heard of this before, very interesting. Must try this out. 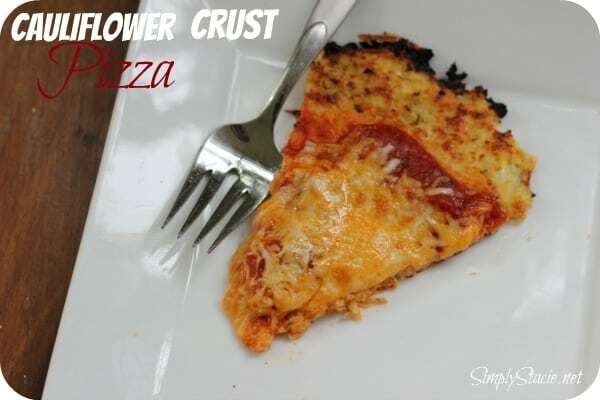 I am definitely trying this one soon- I love a good low carb/gluten free pizza crust, thanks! Oh my, I am totally making this! 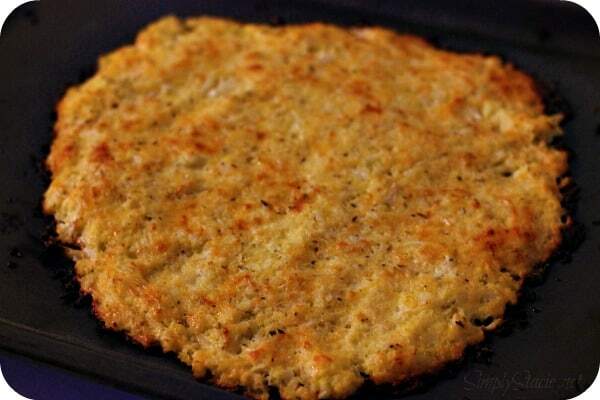 We actually make a similar pizza crust out of ground up chicken. We call it “mizza.” Heh heh. Thanks for joining in at Teach Me Tuesday! This looks so damn good that I can almost taste the cheese! Argh, I want some now! 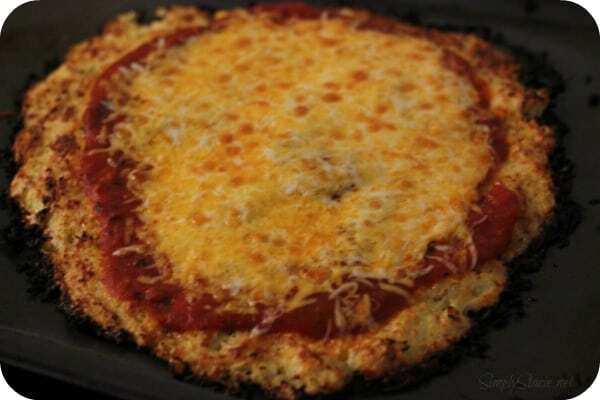 I tried a cauliflower crust once and it was…not so great. Yours turned out so well! Will have to try it. My husband likes to eat low carb, but with a 13 year old in the house we can’t shun pizza!